If you’ve been putting off finding a Newark, DE dentist, you’ve come to the right place in Christiana Dental Spa. We are a dentistry in Newark, DE, for one thing, but we also do our best to educate anyone who might be interested in learning more about the benefits of going to the dentist, what kind of treatment you should expect to receive, and other helpful information. Among that “other” category, we look forward to addressing common issues that folks face, as it relates to oral health and going to the dentist. For instance, in the near future we’ll be publishing a blog on how you can get over your fears of going to the dentist, after which we will discuss practical oral care matters which include proper brushing and flossing technique. For the purposes of today’s blog, however, we will be addressing how you should choose the right dentist for you, whether that be in Newark, Delaware, or elsewhere. 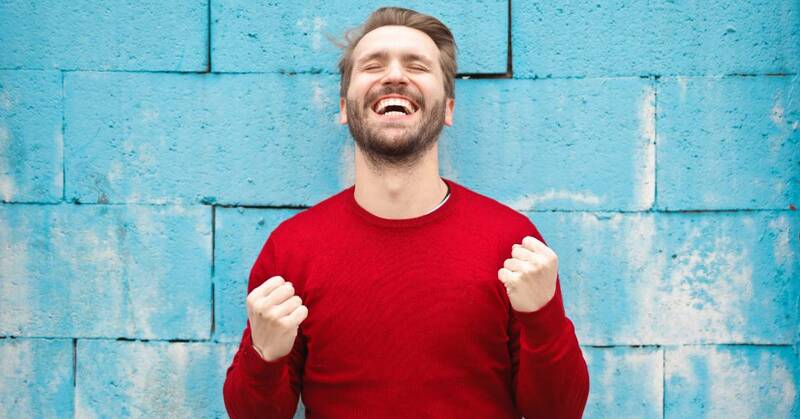 So without further ado, sit back, relax, and glean some tips from those who know the difference between a reliable dentistry and the opposite! Alright, “feeling like home” might be a bit of a stretch, especially for folks who have a natural aversion to going to the dentist. But our point is that you want a dental office full of dental hygienists, administrators, and dentists who make you feel comfortable. Yes, there might always be circumstances that are unpleasant, but a huge part of getting over one’s fear of the dentist is finding a place full of people who truly care about you as a person. This means finding a dentist that is just as concerned with your peace of mind as they are about giving you the proper dental care. We recommend looking for a dentist who excels in communication for the above reasons! A dentist who is in your network, assuming you have benefits that include dental coverage. A dental office that is conveniently located near your home or work. A dental office that offers hours which work well for your personal schedule. A dentist who someone you know and trust (whether it’s a family member, coworker, or your friend) has used and can strongly recommend. Find a local dentist who is a member of the American Dental Association, or ADA. Dentists who are members have agreed to comply with the ADA Code, which includes The Principles of Ethics, the Code of Professional Conduct, and the Advisory Opinions. While that might not mean much to you, the important thing is that a voluntary ADA member will hold themselves and their entire practice to a higher standard in a variety of ways. Simply put, make sure the dentist you are considering is an ADA member. This tip might stretch you outside your comfort zone just a pinch, but in the long-run it will be well-worth it. Give a call to the two or three dental offices you’ve narrowed your list down to and ask them if you could come in and take a look at their facilities. If the dentist you have in mind is worth their salt, they’ll be happy to accommodate your request. Likewise, if a dental office is thrown off by your wanting to come visit them, it’s a bit of a red flag. 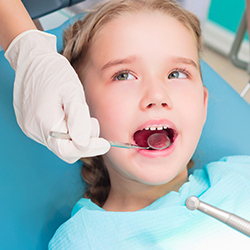 Of course, you should feel free to ask any additional questions that come to mind so that you feel at ease when you actually go into the dental office for your consultation. At Christiana Dental Spa in Newark, DE, we would love if you paid us a visit! We won’t pressure you at all, but instead we will be happy to answer any questions you might have. You comfort and health are our chief priorities. We hope that you’ve found the above tips to serve as a good starting point for you and your search. We also hope that we are on your list of potential dentistries, assuming you live in or near Newark. 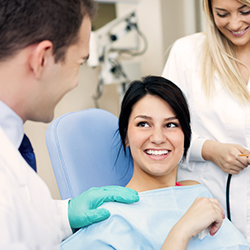 At the end of the day, we want you to be comfortable and empowered to make the right decision for your oral health. We are a candid, experienced, and affordable dentistry at Christiana Dental Spa. Reach out to us today at your convenience!